Anemia is a medical term used to describe the deficiency of hemoglobin and active RBCs (red blood cells) in blood. Hemoglobin does the job of binding the oxygen to red blood cells and is their most important component as well. Having low levels of hemoglobin in the blood would mean less oxygen would be available for the cells. The same thing would happen if your body is not producing enough healthy red blood cells. Fatigue, the most telltale symptom of anemia, is caused because the body isn’t getting the amount of oxygen it requires. Anemia can be caused due to hemolysis which is a condition in which excessive destruction of red blood cells occurs. The normal life of one red blood cell is around 110 to 120 days, but due to some illnesses or medical disorders, red blood cells can start dying earlier than normal. This can force the bone marrow to produce many more red blood cells and if it fails to do so because of the reduced life of the RBCs then their count in the body starts to fall, resulting in hemolysis. Toxins, infections, immune reactions and certain medicines and even medical procedures can cause hemolysis. Anemia that occurs due to lack of red blood cell production in the body may be caused by an inherited illness known as sickle cell anemia in which red blood cells take the form of a crescent and die out before delivering nutrients and oxygen to the cells. Iron deficiency is another reason why a person can have anemia because of deficient red blood cell production since iron is needed for producing hemoglobin. Vitamin B12 deficiency is also among the causes for anemia. Patients suffering from this type of anemia are unable to absorb Vitamin B12 from food sources. Losing blood for a long period of time can cause anemia. There are a number of reasons that can result in excessive blood loss. Hemorrhoids, stomach ulcers, colon cancer, gastritis, child birth, frequent intake of NSAIDs (Non-Steroidal Anti-Inflammatory Drugs), blood donations, surgery or a severe trauma can all result in blood loss that can lead to anemia. The symptoms of anemia do not appear quickly in those patients in which it develops in a gradual manner. 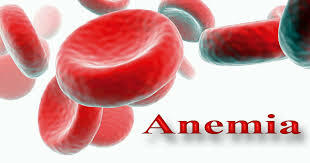 On the other hand, in patients whose anemia is acute, the symptoms are experienced much earlier. The underlying cause, type and having any other medical condition will determine the symptoms of anemia that a patient feels. Fatigue, malaise, palpitations, cold sensitivity, decreased levels of concentration, lethargy and sluggishness and having difficulty in breathing (dyspnea) are among the common symptoms of anemia. Headache, having flaky and dry nails, tinnitus, sore tongue, and restless leg syndrome, atrophic glossitis, having a pale complexion, dysphagia(difficulty in swallowing) and angular chelosis (ulcers in the mouth) are considered the less common symptoms of anemia. Vomiting, excessive sweating, having a bloody stool and chronic heartburn are among the extremely rare symptoms of anemia. Having a family history of anemia can increase your risk of having thalassemia or sickle cell anemia, which are both inherited forms of anemia. Thus, it is better to consult with your doctor and get the opinion of a genetic counselor too regarding the danger of you or your kids having anemia. Bone marrow transplant is a possible treatment method for sickle cell anemia. Dispensation of pain-relief medications, oxygen and intravenous as well as oral fluids is needed for treatment as well. In addition, iron supplements, antibiotics and blood transfusion would also be given to increase the production of red blood cells in the body. Administration of iron supplements and changes made to the patient’s diet are the best treatments for this type of anemia. However, bleeding would have to be stopped using surgery if it is the reason for the blood loss causing the anemia. There are no particular treatment methods. However, blood transfusions can work if the symptoms worsen. In addition, injections of a hormone named synthetic erythropoietin can also be administered for stimulating the production of red blood cells. Blood transfusions are the main method of treatment for this type of anemia. Bone marrow transplant, surgery to remove the spleen, drug used for cancer and iron supplements are some of the other treatments that can be used. Plasmapheresis is a good treatment method for hemolytic anemia which helps in filtering the blood. Splenectomy and blood transfusions can also help in managing the symptoms of this anemia. Doctors recommend the use of steroids and immunosuppressant drugs to restrict the immune system from damaging the red blood cells. This treatment is often administered in short courses. Avoiding medications and treating the infections that cause hemolysis are also among the treatment methods used for managing hemolytic anemia. A bone marrow transplant is the best treatment method for aplastic anemia, especially if the bone marrow is unable to generate healthy red blood cells. Blood transfusions can also be an effective form of treatment as it can increase the level of RBCs in the patient’s body. Administration of drugs, a bone marrow transplant and chemotherapy are among the treatment methods for this type of anemia. The method of treatment used will depend on the nature of the underlying bone marrow disease causing the anemia.